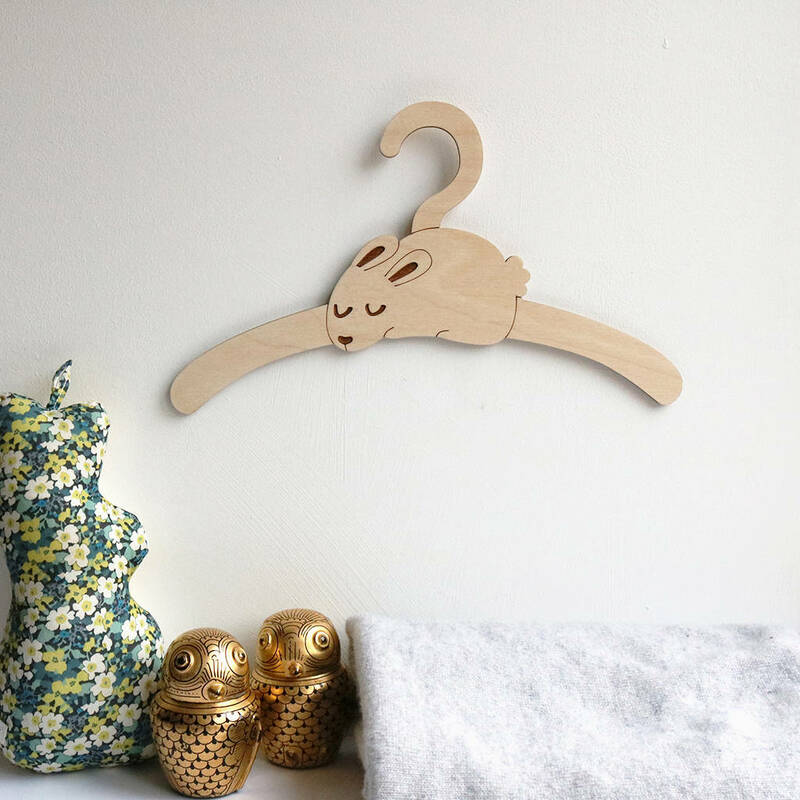 A gorgeous, handmade Little Rabbit wooden coat hanger for babies. 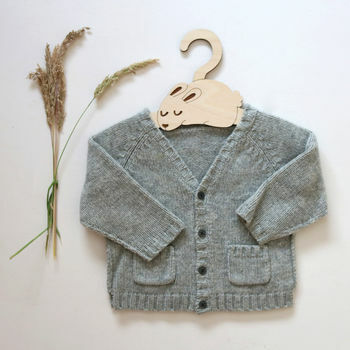 The perfect way to add a touch of magic to a little wardrobe. 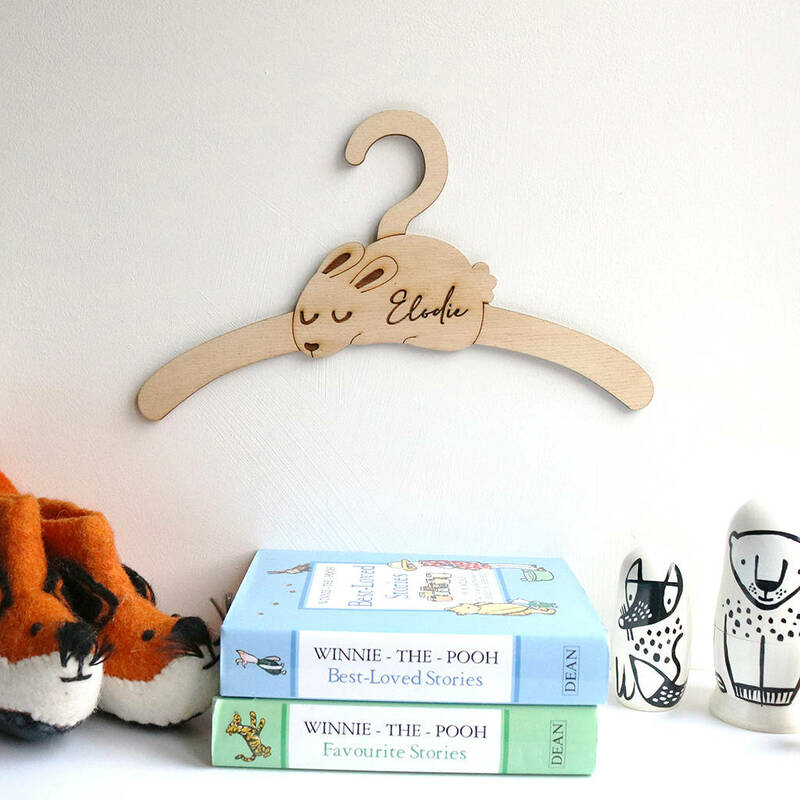 Didn't think the nursery could get any cuter? You were wrong! 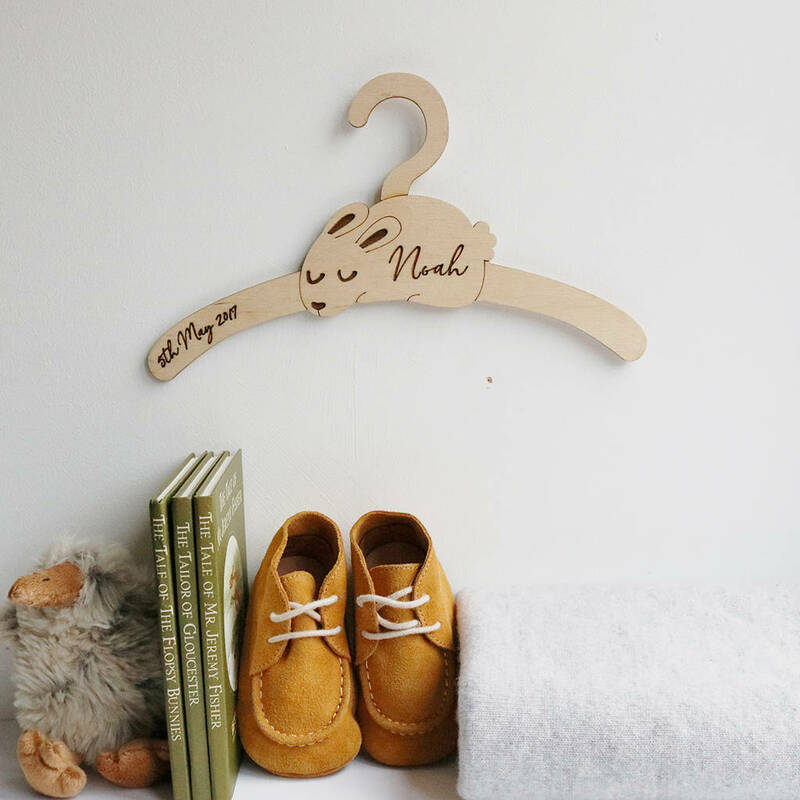 Our sleepy little rabbit coat hanger is the perfect gift for any new arrival, designed to add some fun and magic to a nursery. Beautifully handmade in our Sussex studio, our little rabbit coat hanger is guarenteed to put a smile on your face!